Have no fear! 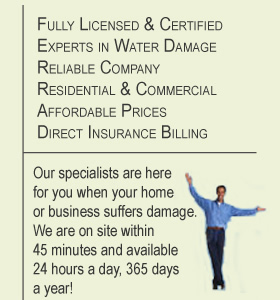 We work with every insurance company you can think of! 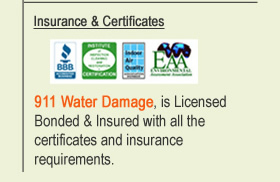 911 Restoration has worked with every type of Damage Insurance company. We are certified, and have the record to prove our quality of work. done, and get your life back to normal as soon as possible! Accidents happen - we're here to help you.